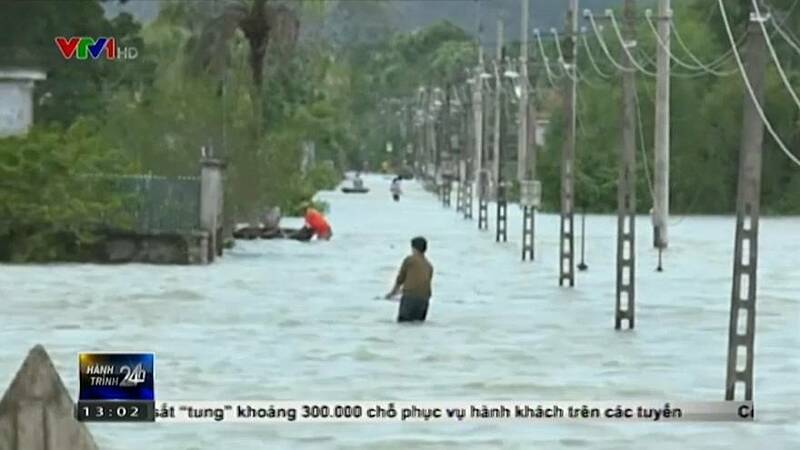 Floods and landslides have killed at least 37 people in Vietnam, one of the highest death tolls recorded in the country from flooding, the disaster prevention agency said on Thursday. Scores more were reported missing or injured. The bad weather caused by a tropical depression is wreaking havoc mostly in the north and centre of the country. It comes on the heels of a typhoon that ripped through central Vietnam just last month. Now the rising waters are swallowing roads and turning into torrents right outside people’s doorsteps. The disaster prevention agency says more than 17,000 homes have been evacuated and as many have been damaged. Around 40,000 animals were killed or washed away.